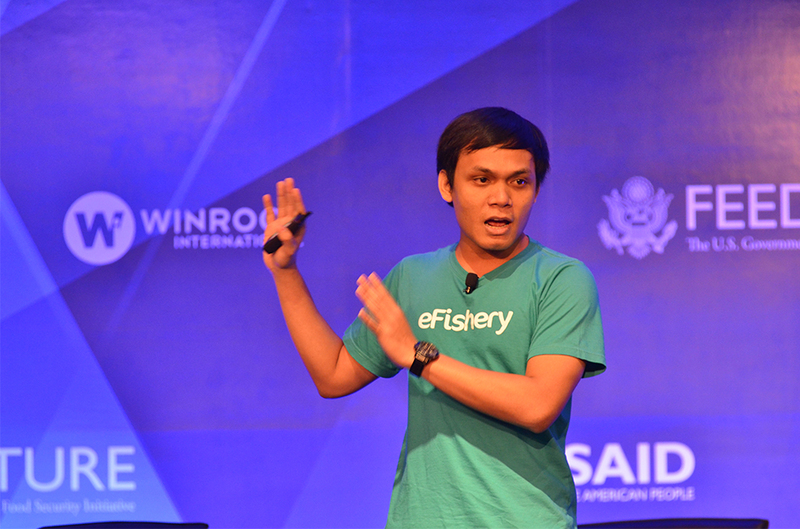 Most people have never heard the sound of a fish having dinner, but Gibran Huzaifah has. 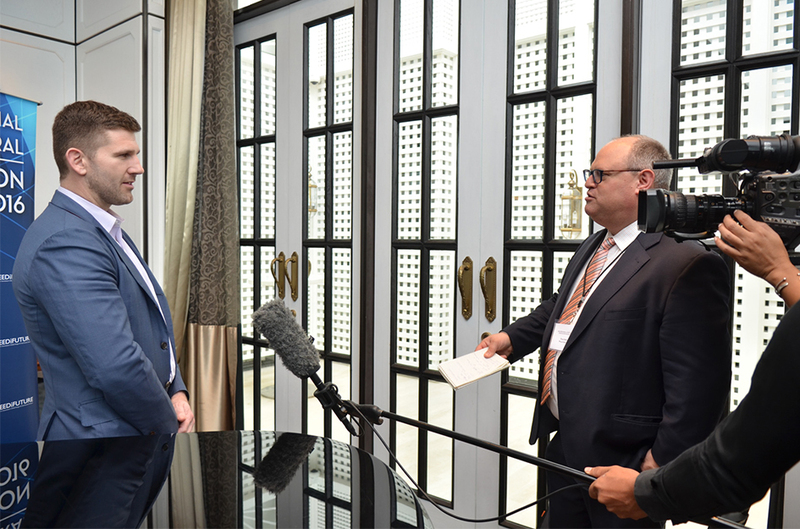 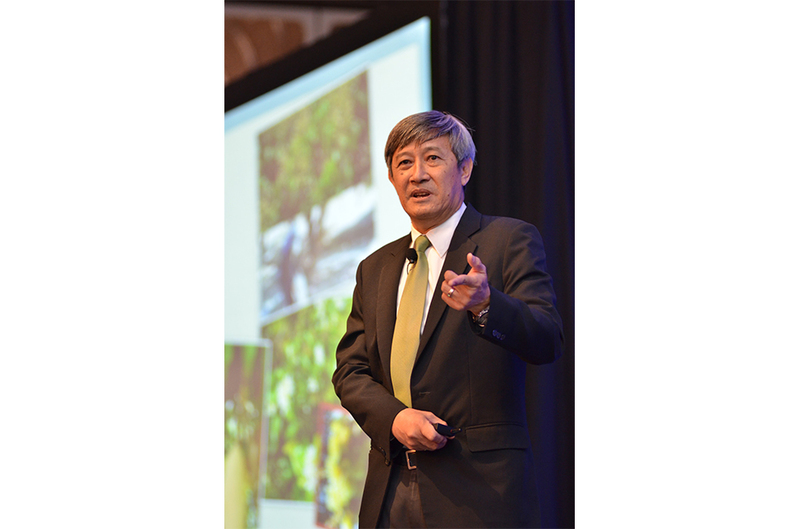 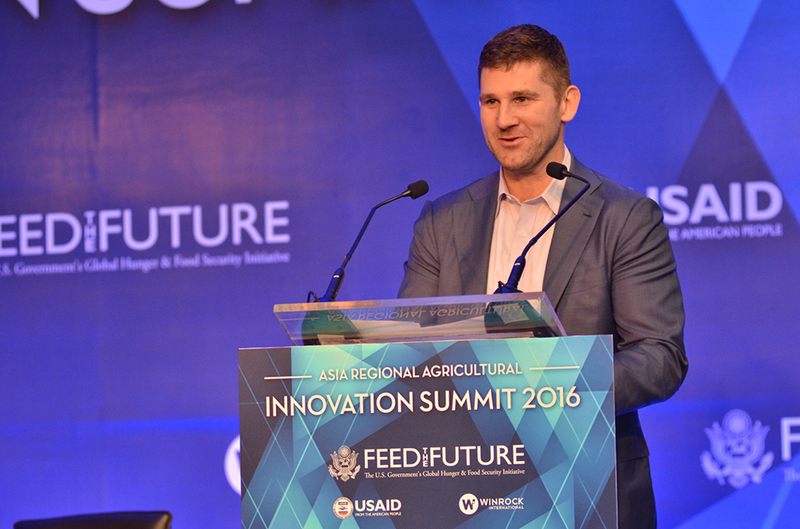 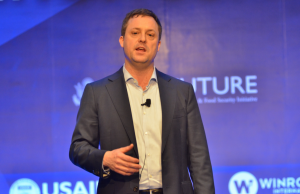 And when he described it for a receptive audience at last month’s inaugural Asia Regional Agriculture Innovation Summit in Bangkok, Thailand, he brought down the house. 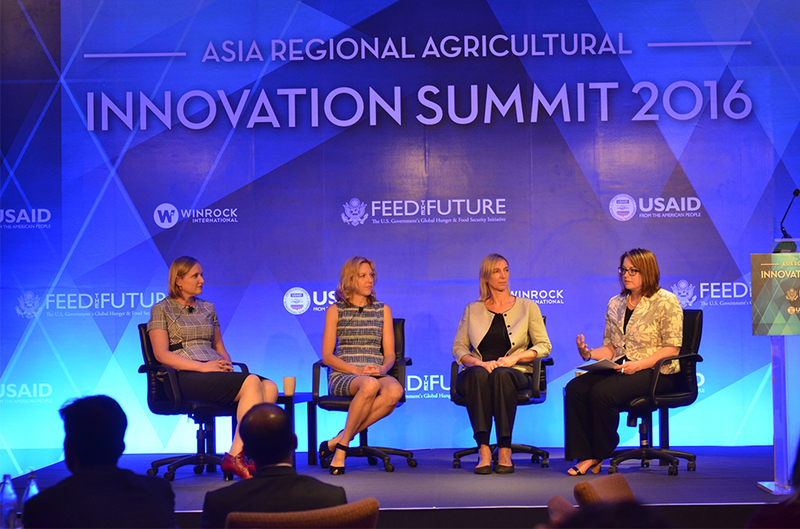 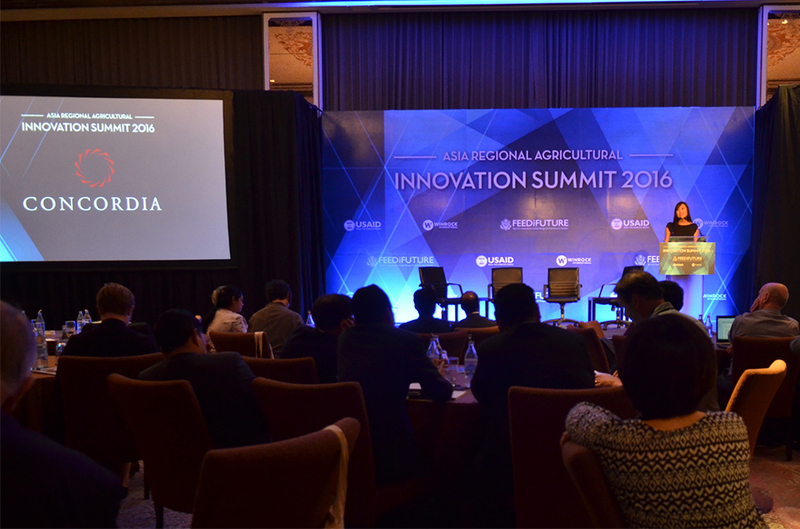 It’s for just such innovations that the Asia Regional Agricultural Innovation Summit in Bangkok, Thailand, was convened. 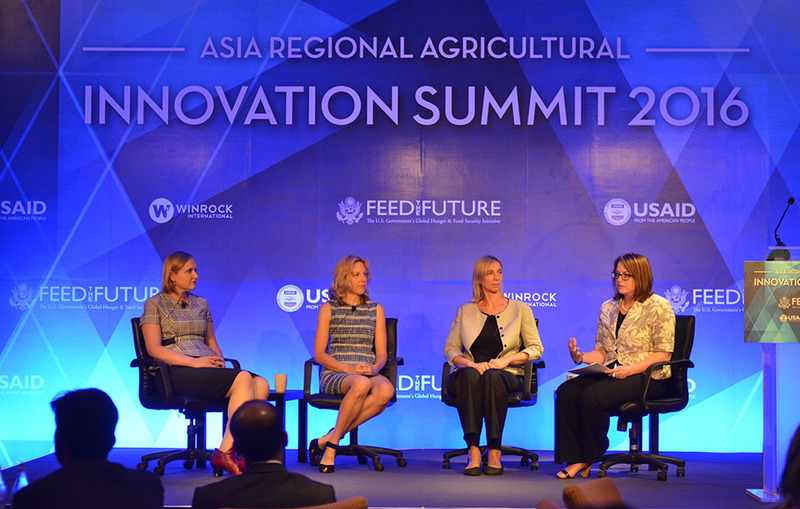 The summit brought together an unlikely mix of participants from 15 countries across Asia — social entrepreneurs, researchers, government experts, farmers, fishers and more — to kick off a five-year initiative to promote innovative agricultural technologies in the region. 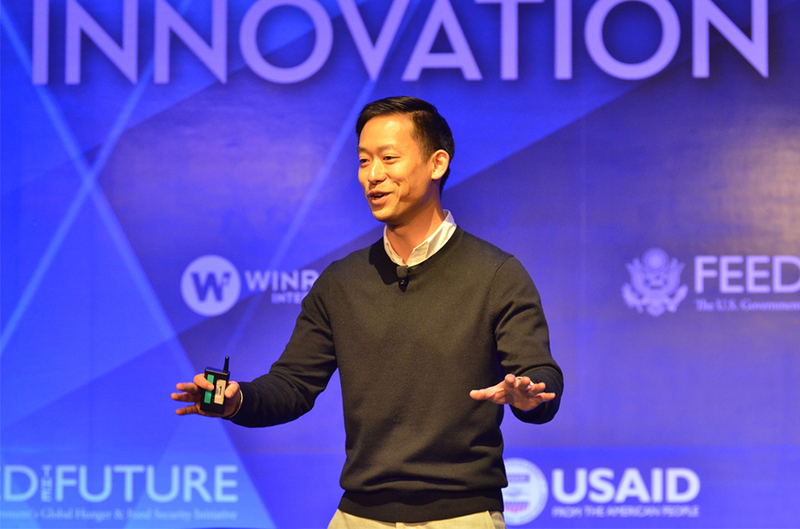 IDEO’s Michael Peng lights up the room with “design thinking” at the Asia Regional Agriculture Innovation Summit in Bangkok, Thailand. 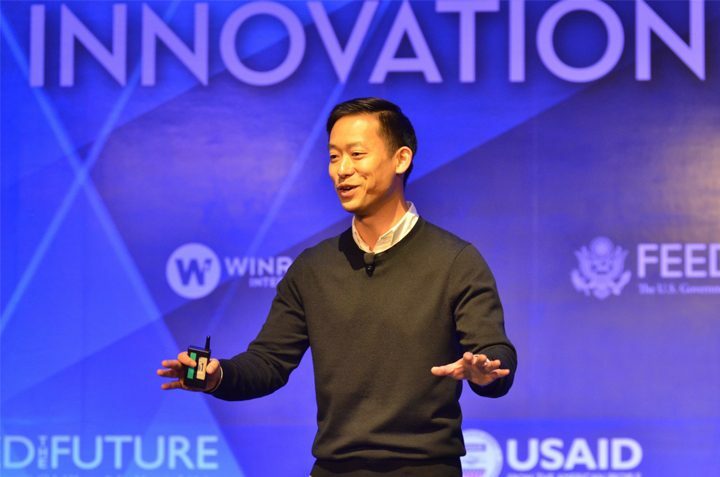 That included Michael Peng, co-founder and co-managing director of IDEO Japan, which has brought principles of design thinking into industries ranging from education to consumer electronics. 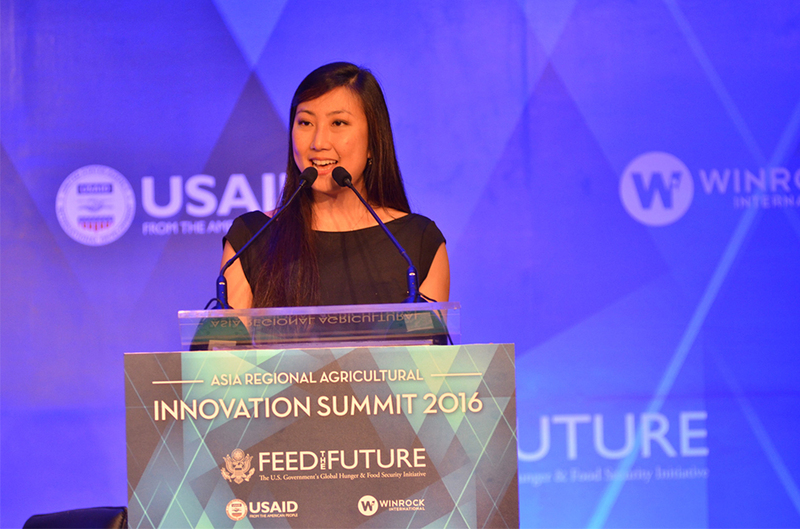 Combine design thinking with agriculture and you have the Magic Stick, a device Peng introduced at the conference that measures soil temperature, GPS and moisture levels. 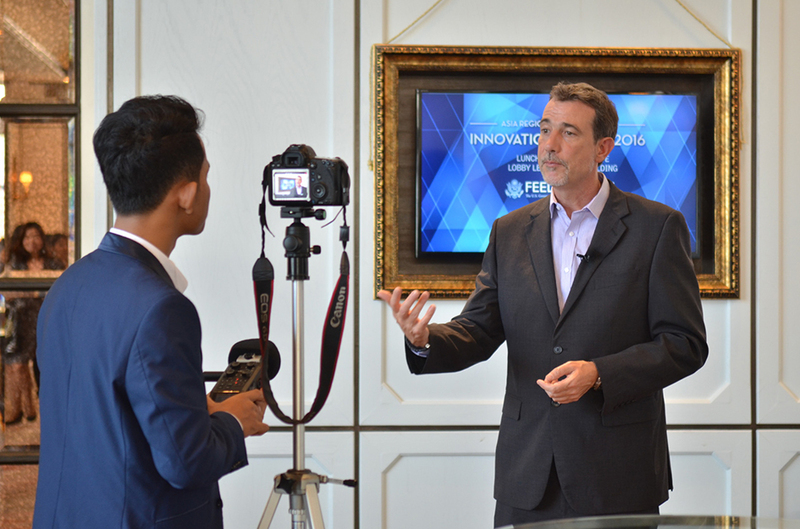 Peng talked about the importance of innovation and how design thinking can be used to tackle some of our biggest challenges. 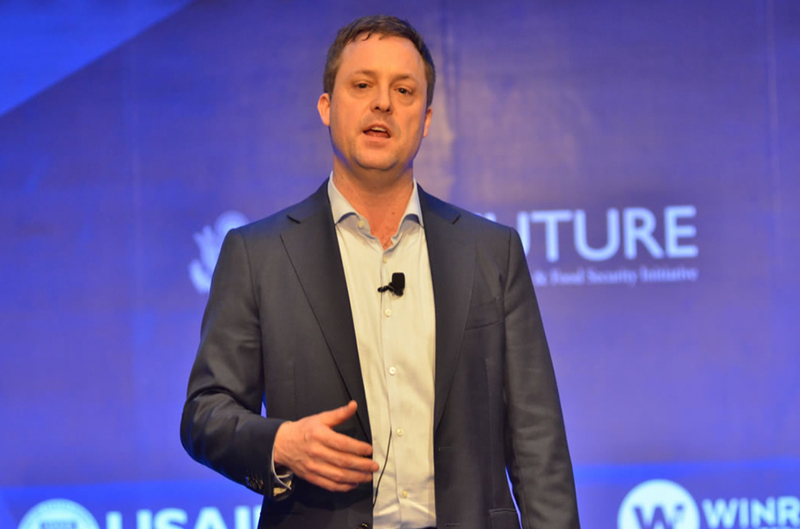 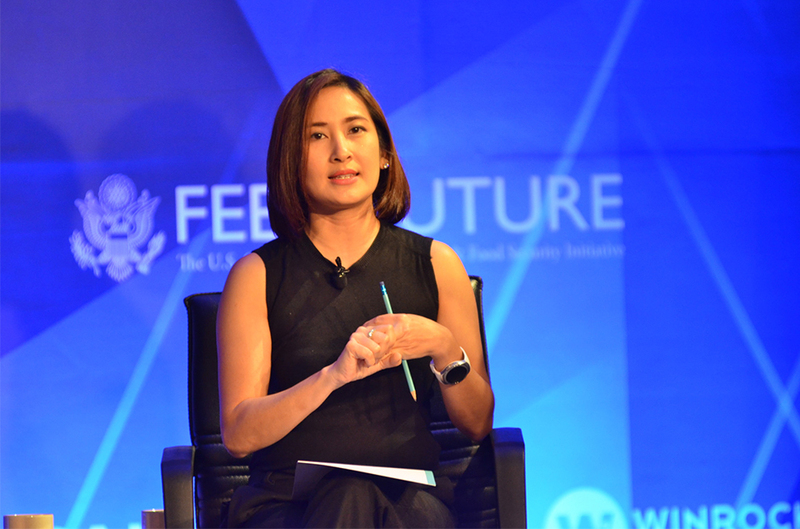 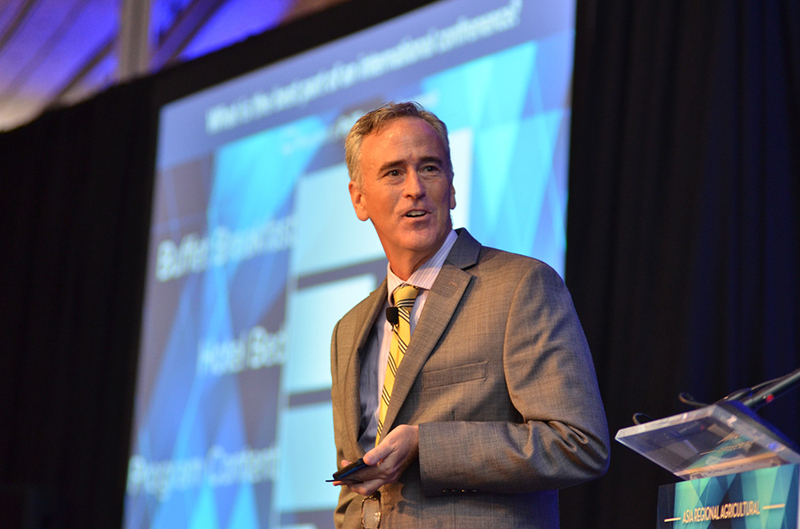 Statistics show that agricultural production will need to increase by 50 percent between now and 2050 in order to feed the population, Turner says. 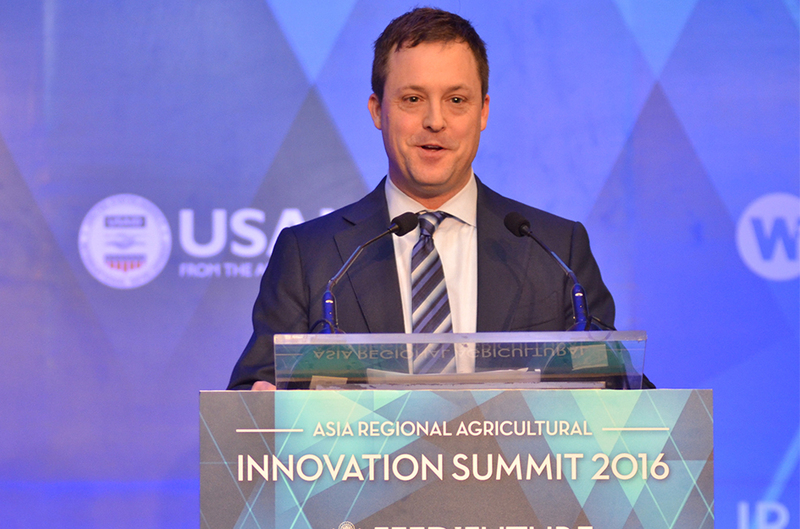 Whereas in the past, production could be boosted by using more fertilizer or seed, “for the last 20 years the real driver of productivity has been technology, getting more from what you have, getting more from less,” he notes. 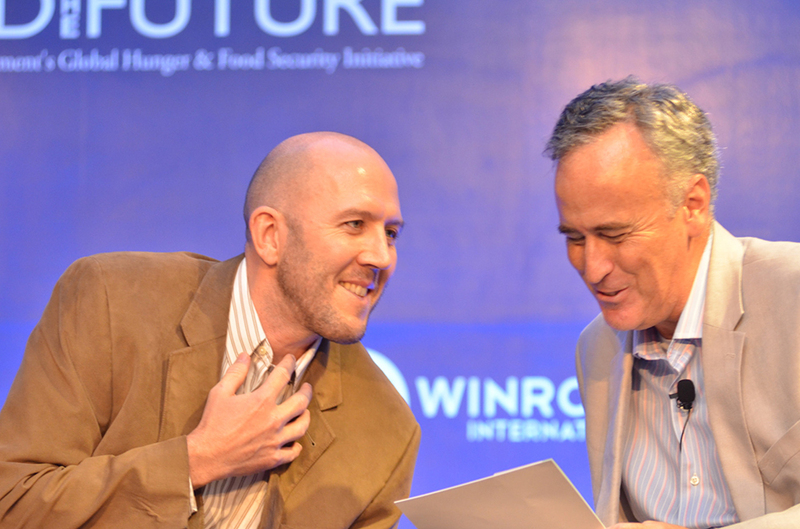 Kipp Sutton of USAID and Rob Turner of Winrock International share a laugh from the stage. 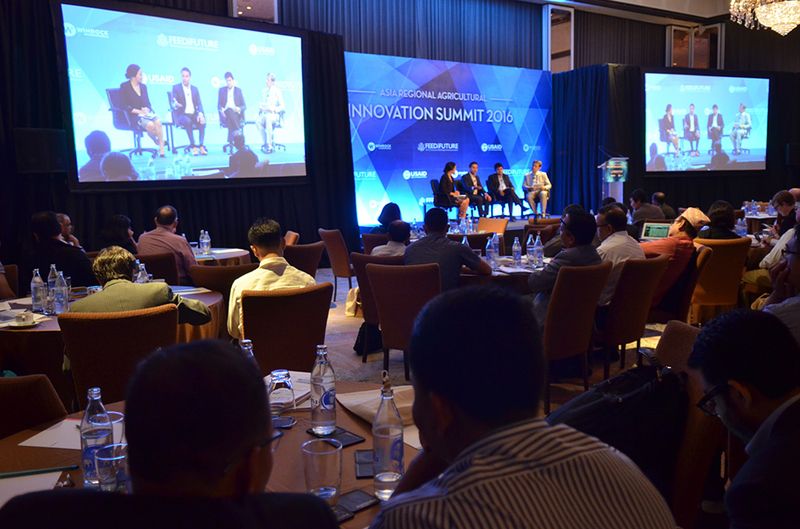 And that requires the sort of creative disruption the summit inspired. 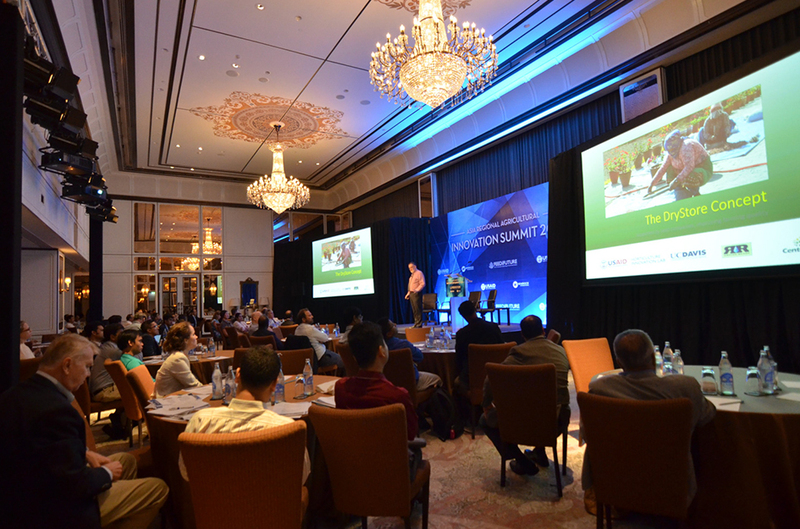 “I knew that making this event happen would require us to work differently, to work across disciplines and geographies, across siloes and budget areas to accomplish something together that we could never do alone,” says Christopher “Kiff” Gallagher Jr., Winrock’s vice president of business development and external affairs and a key organizer of the summit. 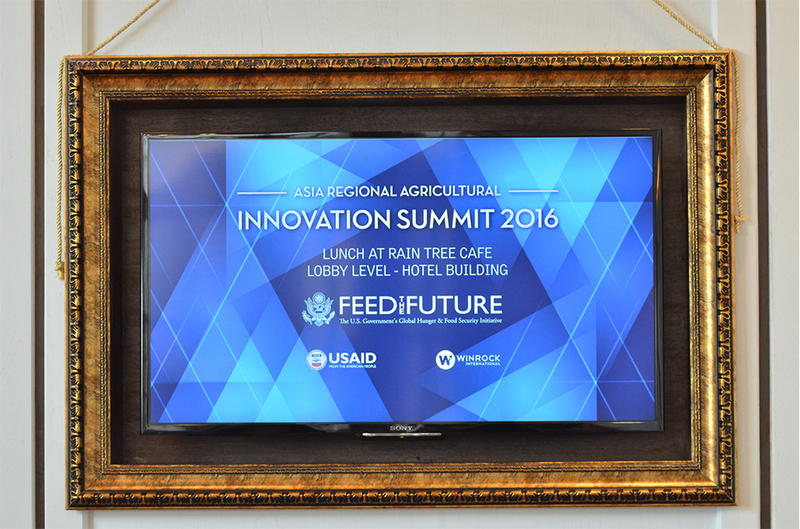 The event featured not only experts from USAID, FAO and the like but also Tri Nguyen of MimosaTEK, creator of a precision irrigation system that uses sensors, smartphones and the Internet of Things, and Johan Van Asbrouck of Rhino Research, whose small drying beads absorb moisture from seeds and grains and help prevent storage loss. 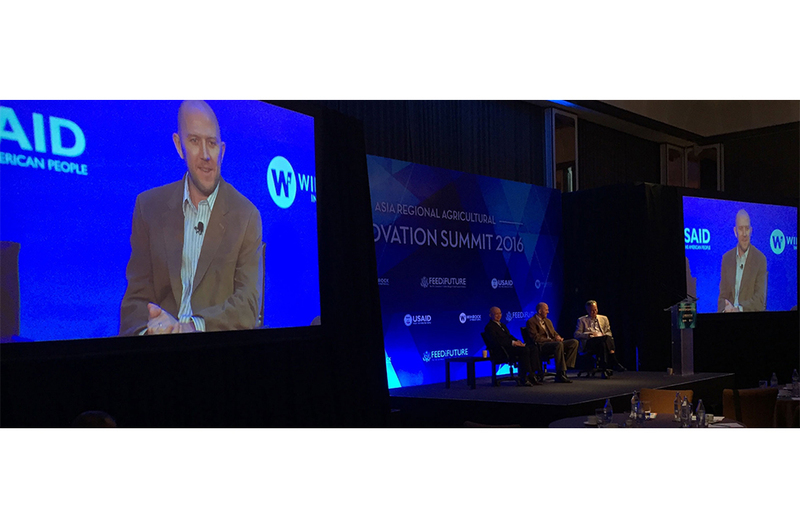 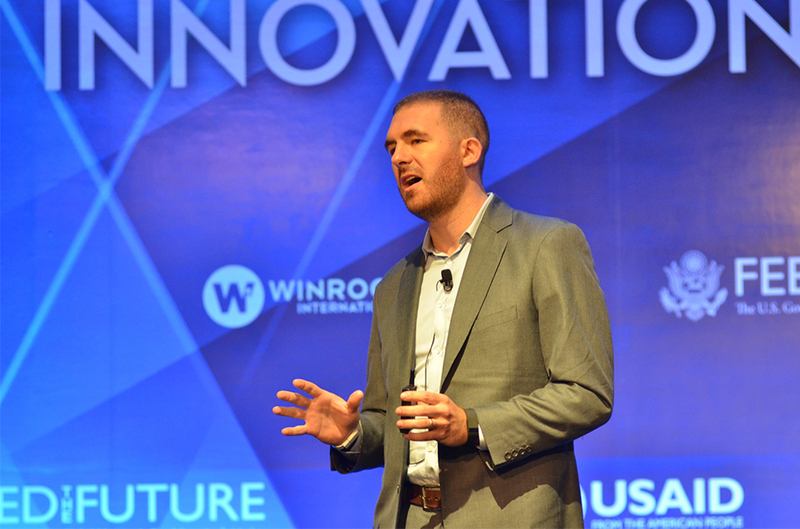 Winrock’s Kiff Gallagher describes Winrock’s legacy of innovation and entrepreneurship in global development. 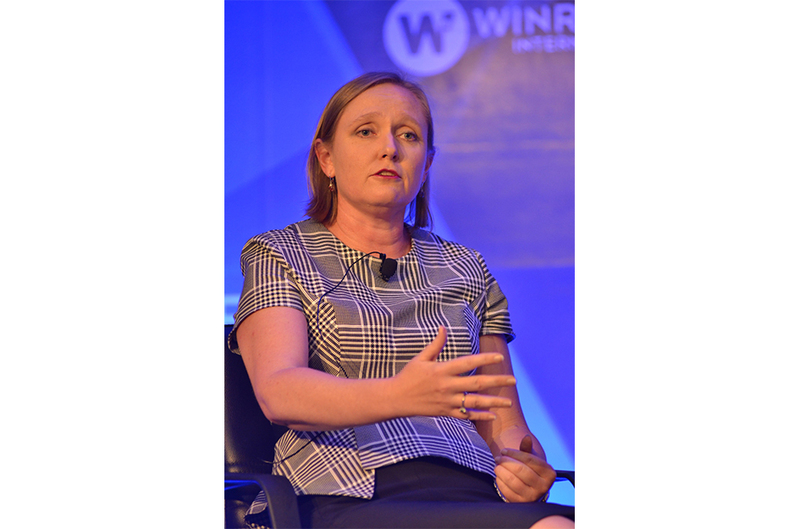 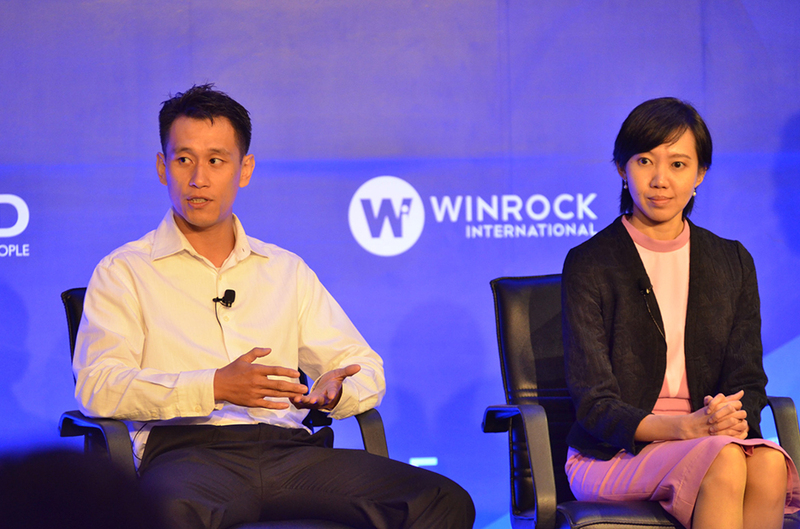 “It was the first time we were able to do a session like this that brought in the funders, the tech designers, the people identifying the constraints and the people who have the ability to take this to the mainstream,” said Winrock’s Senior Vice President of Programs Joyjit Deb Roy. “It was almost like a marketplace for ideas.” And like a marketplace, it had tangible pay-offs, with new connections and possible deals for the cutting-edge entrepreneurs. 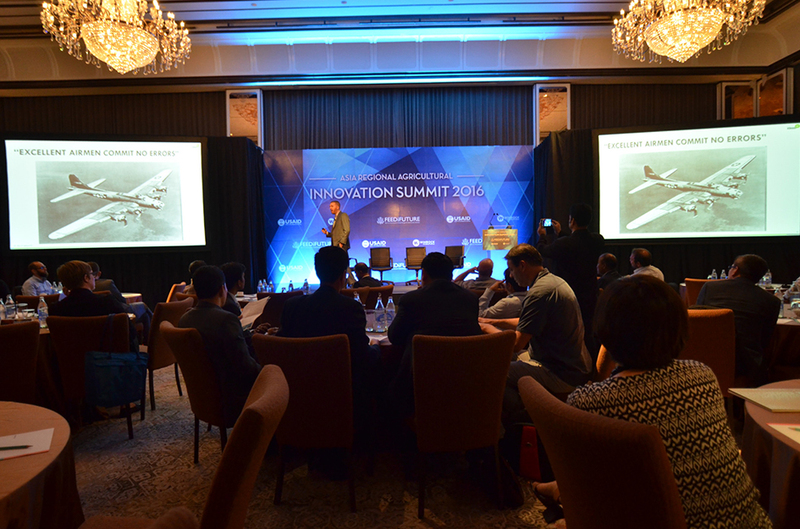 But the summit itself was just the beginning. 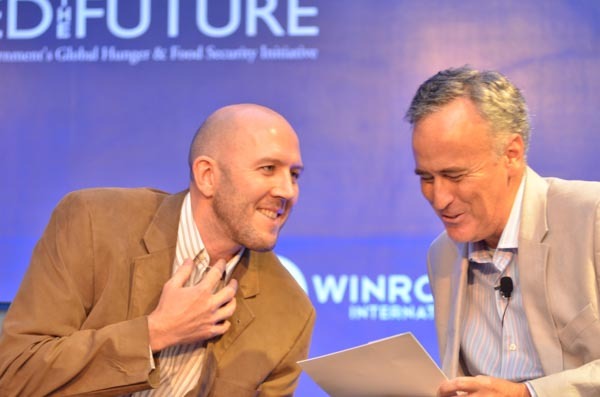 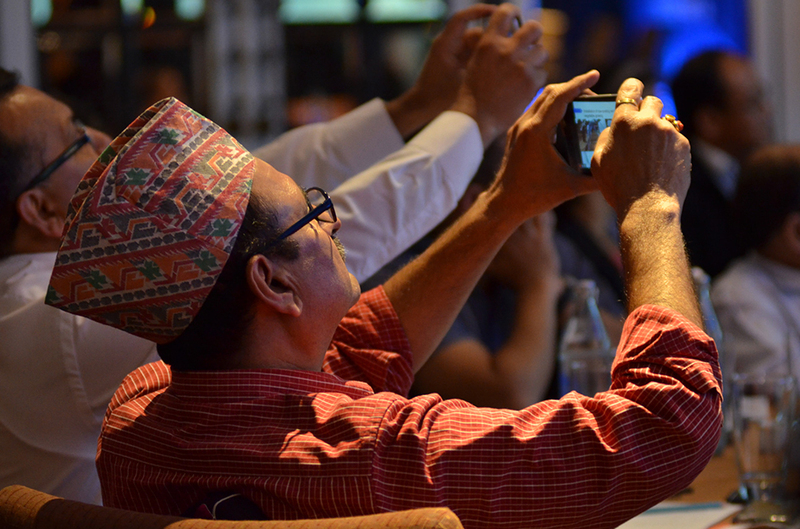 The Tech4Farmers challenge that was launched there will help develop technological solutions and regional partnerships for smallholder farmers in Bangladesh, Cambodia, Myanmar and Nepal. 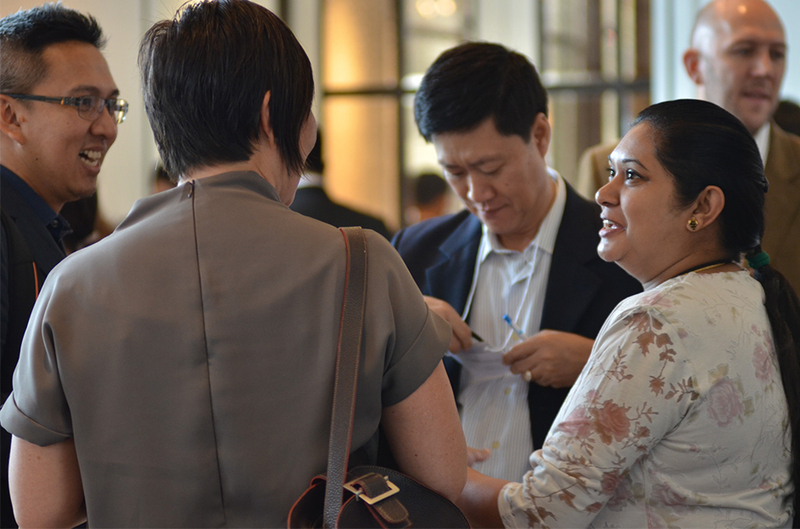 And there will be regional meetings in each of these countries, too. 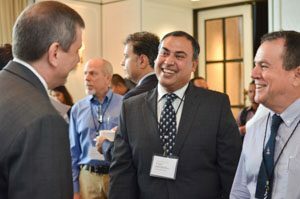 Winrock’s Joyjit Deb Roy (center) with Todd Sorenson of the USAID Regional Mission for Asia (left) and William Collis of the International Maize and Wheat Improvement Center (right) during a break. 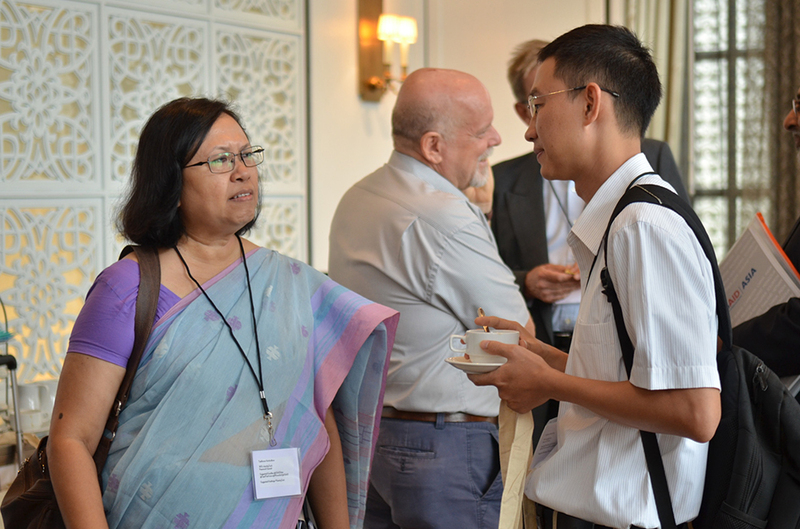 A panel on “Social Accountability in Supply Chains” was a conference highlight.